Claws of the Witch is an excellent split between two great up-and-coming artists. Both represent solid compositions of death industrial power electronics with a more atmospheric edge. The pairing of Regosphere and Content Nullity is a good one and makes for a coherent welding of styles. Regosphere is up first with two forlorn death industrial tracks. The tracks feature thick beds of synthesized sounds, slow and plodding with rhythmic pulses of heated frequencies. I really dig Regosphere’s style in general, it’s sparse yet compelling. Not flooding the space with too much which really lets each element stand out. The first track almost perfectly sums up the sound with it’s title Like Maggots We Squirm. The second track My Sins (Are My Own) is a bit more elaborate featuring a spoken sample of some far-right evangelist followed by a whitewashed vocal attack. Both tracks featuring a thick swarm of droning synths to back things up. Content Nullity’s tracks have much more defined movements while at the same time sharing a lot of similar characteristics with what Regosphere has presented. Once again, droning synth, noisy yet harmonic and plodding industrial rhythms. I have to say both tracks here are very strong with the first In The Throes of Her Abhorrence featuring some really exemplary synth work. Melting pitches seem to die, while scathing PE vocals emulsify what little is left of their remains. I can sense a huge NTT influence but Content Nullity really does that influence justice while also adding an edge of originality. 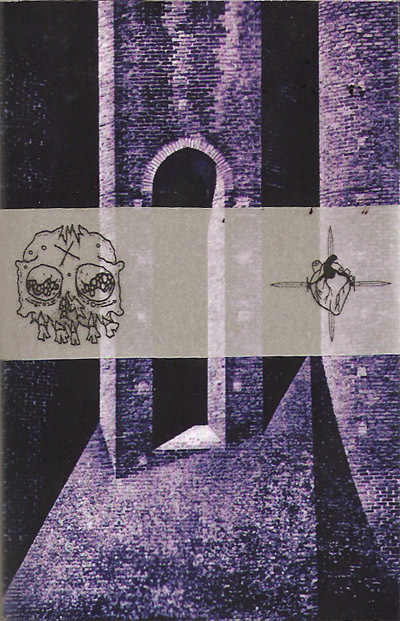 This is a very strong split tape and recommended for any fan of death industrial and power electronics. If this is where the new school is heading I can fully get behind it. Everything is consistent from the artwork, the pairing of the projects, the sounds, the compositional techniques and the style. The production is crisp and clean and falls upon my neck like a well-greased guillotine. File this under mandatory listening.